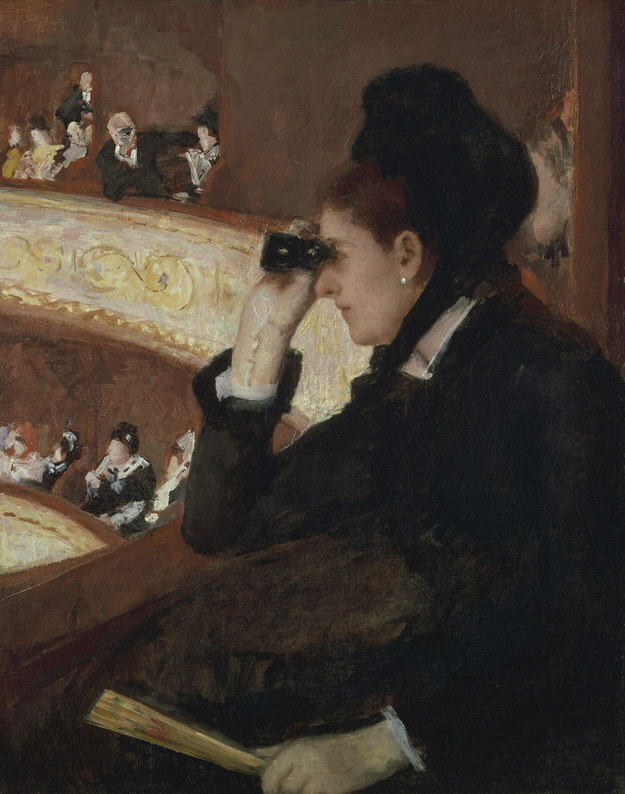 How much do you love being able to spy the guy in the background checkin’ out our leading lady in Mary Cassatt’s “In the Loge”? I mean, happens to me all the time, so props to girlfriend. She’s doing a phenomenal job looking just too busy and beautiful for all that Peeping-Tom-foolery. I feel like this chick was talked into buying one too many afghan shawls from Coldwater Creek before it went out of business. Berthe Morisot was the only woman to exhibit in the first Impressionist show of 1874. She was married to the brother of Edouard Manet and dear, dear friends with Mary Cassatt. I totally agree. And, let’s be real — girl, you are rockin’ that look of being someone with that pup and full-floral hat! 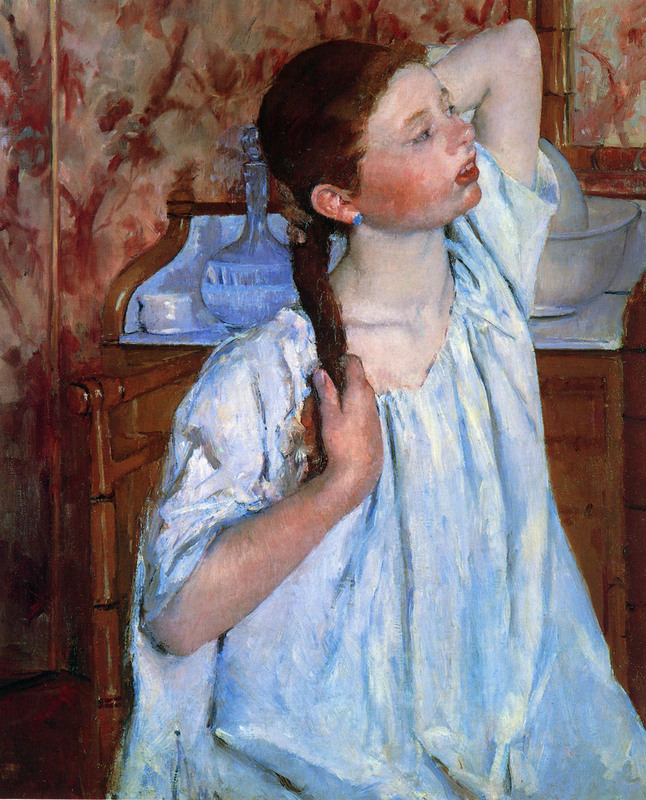 Mary Cassatt often modeled for Edgar Degas. Though she kept this in her studio, she sold it later in her life without him knowing. I’m imagining Degas finding out and playing that “Last Christmas” on just straight repeat. Or like, ANY Taylor Swift song. 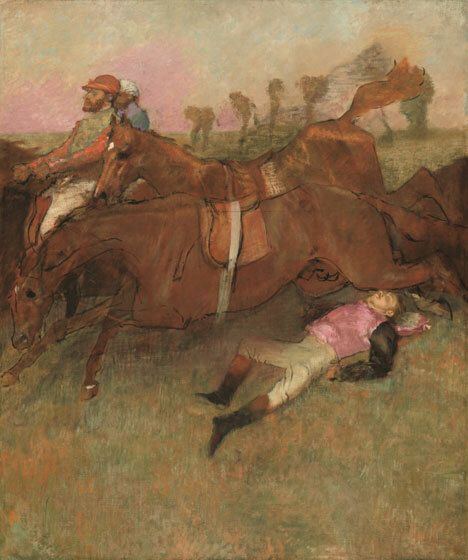 Edgar Degas painted Scene from the Steeplechase for a Salon exhibition in 1866. Mary Cassatt wanted to purchase the painting for her brother, but Degas kept the work in his studio, basically repainting every darn inch. DEAD ON, MOM. The painting was in his studio when he died in 1893. It’s now a part of the National Gallery in DC, thanks to Paul Mellon. There’s actually nothing better than an exposed collarbone. Nothing. Bonus points on her being a redhead (ignore what I said in my last post). The painting was then a part of the Chester Dale collection — ah yes, our 1960s Kevin McCallister — before joining the NGA collection. This work is currently on display at the Degas / Cassatt exhibition at the National Gallery (I’m giving it one of those “Must Go!” Fandango ratings). 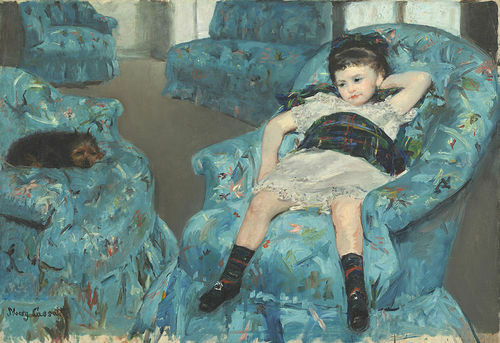 He studied the heck out of Cassatt’s pose for a variety of prints and sketches. 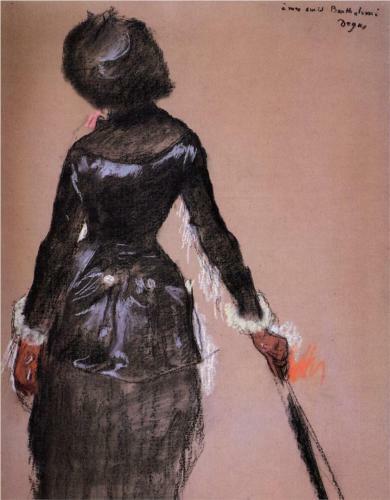 Degas made 20 known versions, the second largest number of studies by the artist for a work. 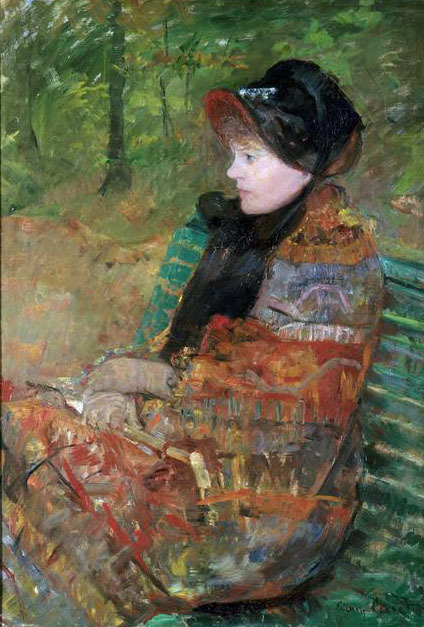 Degas wrote, “Her slender…figure, neatly tailored, and her crisply furled umbrella all convey to us something of Mary Cassatt’s tense, energetic character.” In other words, 19th-century ice queen. Love it, Mary! I am on board with everything about this girl’s look. I hope Cassatt gave the same dissatisfied look to AMERICA when they rejected the work in 1878. No wonder she moved to Paris and never returned. Degas once said, “They are all jealous of us, and wish to steal our art.” Uh, duh.